Before you can begin to defend yourself from these accusations, you need to have a full comprehension of the legal definition of these terms and how they differ from one another. To be able to identify mail or wire fraud, you first need to know what the basic definition of fraud entails. When a person conspires knowingly to mislead another for the purpose of gaining control of property worth a non-negligible value, then they are committing a fraud. This can range from classic confidence schemes like answering to someone else's name to receive an order to impersonating an official complete with forged identifying documents in order to steal sensitive information from a restricted area. Wisconsin treats fraud similarly to theft, leveraging penalties based on the value of the property stolen with modifiers for targeting particularly vulnerable demographics. Intuitively, mail fraud is a variation of fraud that occurs through a postal delivery service such as the USPS or private companies like FedEx. The typical mail fraud scheme revolves around representing a fictitious entity to the resident as a business willing to sell them a product or a service. The resident is persuaded to send the funds to the company, but the promised product never arrives. Some variations may present the company as a charity doing good works overseas or as a sweepstakes offer that is practically giving away prizes. 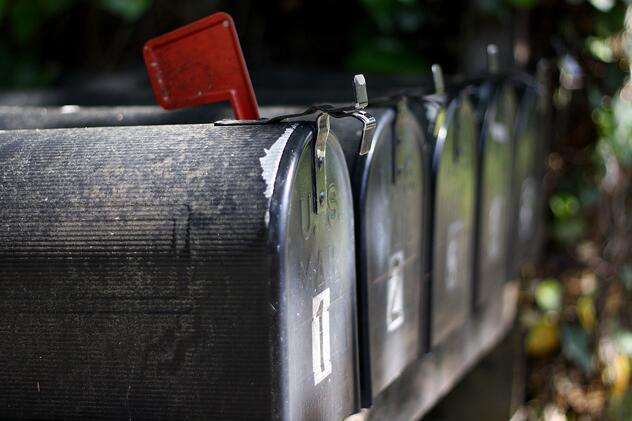 As long as some type of missive is sent through the mail - whether it's a flyer, magazine, letter, or pamphlet - then the act can potentially be prosecuted as mail fraud. If you are charged with mail fraud in Wisconsin, then you will immediately be facing charges of a Class H felony, bypassing the $2,500 minimum that is needed to be charged with a felony in other fraud cases. Because mail fraud deals particularly with the method of fraud, rather than the victim of the fraud, it is prosecuted solely in the criminal court. Wire fraud is the act of committing fraud through the use of an electronic communication medium, including but not limited to telegraphs, telephones, satellite transmissions, and Internet communications like instant messaging or electronic mail. Effectively, the only difference between wire fraud and mail fraud is the medium used to commit the crime. The "Nigerian Prince" scam, made infamous in the early days of the Internet, was accomplished by sending emails to targets that promised immense returns if they would help the prince or substitute dignitary with an investment so they could retrieve their inheritance. As with mail fraud, wire fraud in Wisconsin is treated separately from other forms of fraud. All charges of wire fraud are classified as a Class H felony with fines up to $10,000 and imprisonment of six years or less, regardless of the amount defrauded from the victim or the victim's vulnerability to confidence schemes. Are You Prepared for Your Mail or Wire Fraud Hearing? Because of the broad applicability of mail and wire fraud statutes, it is possible that you may be facing several counts of one or both of these charges in addition to other accusations. Weathering a legal onslaught is never an easy task, and you shouldn't face a torrential downpour of overzealous litigation on your own.